If food, fun, music, gambling and a lot of people watching is what you’re into then Little Italy’s Feast of The Assumption just might be your cup-a-tea. This is a throw back festival with a new school twist. It is obviously a religious celebration but that kinda gets lost amongst all the chaos. Be prepared for a carnival like atmosphere. The area of Mayfield Road that runs through Little Italy get shut down as local restaurants set up booths along the street. 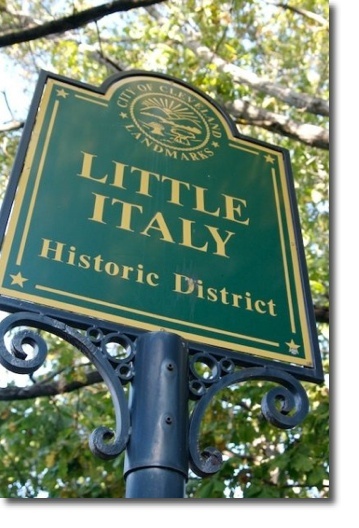 If you haven’t sampled any of Little Italy’s many fine restaurants, this would be an opportunity to sample them all. There is gambling (for charity) in the basement of the church and dancing on the bar patios. All in all its a great time for the whole family so go check it out, starts Friday the 12th and runs through Monday the 15th. Previous Post Will I see you at the Taste of Tremont Tomorrow?